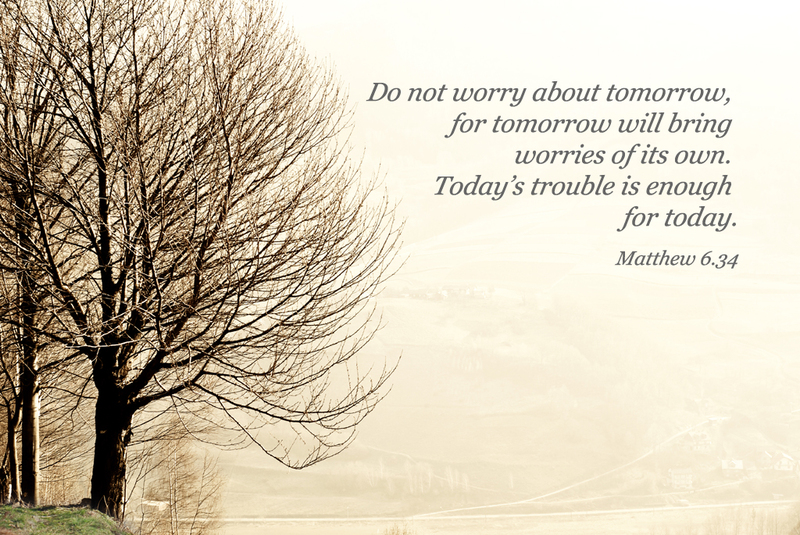 Each Sunday, I try to post a devotional thought for you to meditate on. Sometimes it will be something out of my own studies and prayers. Other times – like today – it will be from another source. Faith does not shed tears over sorrows which may never come. 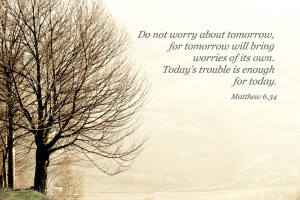 God never made a Christian strong enough to stand the strain of today’s duties–and all the load of tomorrow’s anxieties piled upon the top of them. The apostle Paul himself would have broken down, if he had attempted the foolish experiment. We have a right to ask our Heavenly Father for strength equal to the day–but we have no right to ask him for one extra ounce of strength beyond it! We should not penetrate into the secrets which tomorrow hides–if we could. It is far better to know Whom we trust, and that He is able to keep all that we commit to Him, until the last great day. We cannot live on yesterday’s meals. As the children of Israel gathered fresh manna every morning–so must we look upward for a fresh supply of heavenly rations for the day’s march. The secret of happy days is not in our outward circumstances–but in our own heart life. A large draught of Bible taken every morning, a throwing open of the soul’s windows to the precious promises of the Master, a few words of fervent prayer, a deed or two of kindness to the first person you meet–will brighten your countenance and make your feet “like hinds feet” for the day’s march.